You are here: Home » Blogs » How It Could All End up this season? Posted by: supreetkini on February 8, 2012 in Blogs, Guest Writers Comments Off on How It Could All End up this season? The Premier League is set for its most exciting run-in! OK, here I am, absolutely jobless, and thinking what my next post would be. 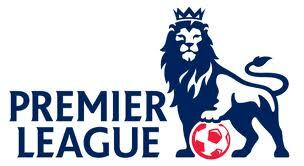 So, I thought why not play a predictor, and pan out the final standings of the Premier League! Mind you, I am only doing predictions for the top 7 teams, and not the league as a whole. I start off with this weekend! Week 25 pits Manchester United against Liverpool, while Chelsea and Arsenal face tricky ties at Everton and Sunderland respectively. Tottenham play Newcastle, and Manchester City travel to Aston Villa. While Liverpool are off playing Cardiff, in the Carling Cup final, Chelsea host Bolton, and Manchester United travel to Norwich City. Newcastle and Manchester City host Wolves and Blackburn respectively. The game of the week surely is Arsenal v Tottenham, which will be a fiercely contested game. I have considered Liverpool’s game in hand here. Week 27 boasts of another big clash, this time between Liverpool and Arsenal. Bolton face Manchester City, a week after they faced Chelsea, who travel to West Brom. Newcastle host Sunderland, in the Tynecastle derby, while Tottenham pit their wits against Manchester United. Chelsea host Stoke, while Manchester United host West Brom. Liverpool travel to Sunderland, Manchester City travel to Swansea and Tottenham travel to Everton. Arsenal play Newcastle on Monday night. Everton host their second team from North London, in as many weeks, with Arsenal being the visitors this time. Newcastle play Norwich, as Liverpool travel to a tricky QPR. Tottenham host Stoke, while Manchester United play at Wolves. Match of the round is clearly Manchester City against Chelsea. More crunch matches to look forward to as Chelsea play Tottenham. Arsenal host Aston Villa, Liverpool host Wigan, as Manchester City travel to Stoke and Newcastle go to West Brom. Their neighbours play Fulham on Monday night. Chelsea travel to Aston Villa, while Arsenal also face a tricky trip downtown at QPR. Manchester City host Sunderland. Tie of the round is Newcastle against Liverpool. Blackburn host Manchester United, expecting revenge and Tottenham play Swansea. The season gets more exciting, with everything still to play for. Liverpool entertain Fulham, Arsenal play Wigan, Chelsea play Newcastle, Manchester United play Aston Villa as Tottenham travel to Bolton and Manchester City travel to Norwich. Arsenal host Chelsea at the Emirates in the biggest match of the weekend. Liverpool play West Brom at Anfield, Manchester United play Everton and Newcastle host Stoke. Tottenham and Manchester City travel to tricky opponents QPR and Wolves respectively. The title decider is played out as an explosive clash between Manchester City and Manchester United beckons. Chelsea too will play a potentially explosive game against QPR, Arsenal travel to Stoke, Liverpool to Norwich, Newcastle to Wigan and Tottenham play Blackburn. League leaders Manchester City travel to Newcastle. Arsenal host Norwich and Liverpool will play out another feisty game with Chelsea. Manchester United go to Wales to play Swansea and Aston Villa host Tottenham. The final week of the season sees Chelsea entertain Blackburn. Manchester City play QPR, before lifting their first Premier League Trophy. (predicted). Newcastle finish their highly succesfull campaign at Everton, while Manchester United, Liverpool and Arsenal do the same at Sunderland, Swansea and West Brom respectively. Tottenham host Fulham, in what can be expected to be a dead-rubber. These predictions were done, keeping the following in mind. 1) Manchester City welcome back the Toure brothers from the Africa Cup of Nations. More so, Yaya Toure, who has been their best player this season. 2) Arsenal welcome back a host of players from injury, notably right-back Bacary Sagna. Also returning will be left-backs Kieran Gibbs and later in the season, Andre Santos, which will strengthen the defence. 3) Chelsea have 3 tough away games, at Arsenal, Manchester City and Liverpool. 4) Liverpool, too, will welcome back their star striker, Luis Suarez, from a 8 match suspension. 5) Newcastle are thin on resources, to maintain their position in the league. 6) Tottenham have a decent enough squad, to hold on to 3rd place, and are already 7 points adrift of 4th placed Chelsea. 7) Note that this is considering the top 7 will remain the same for the rest of the season. This is because the gap between 7th placed Liverpool and 8th placed Sunderland is 6 points, which seems unassailable.